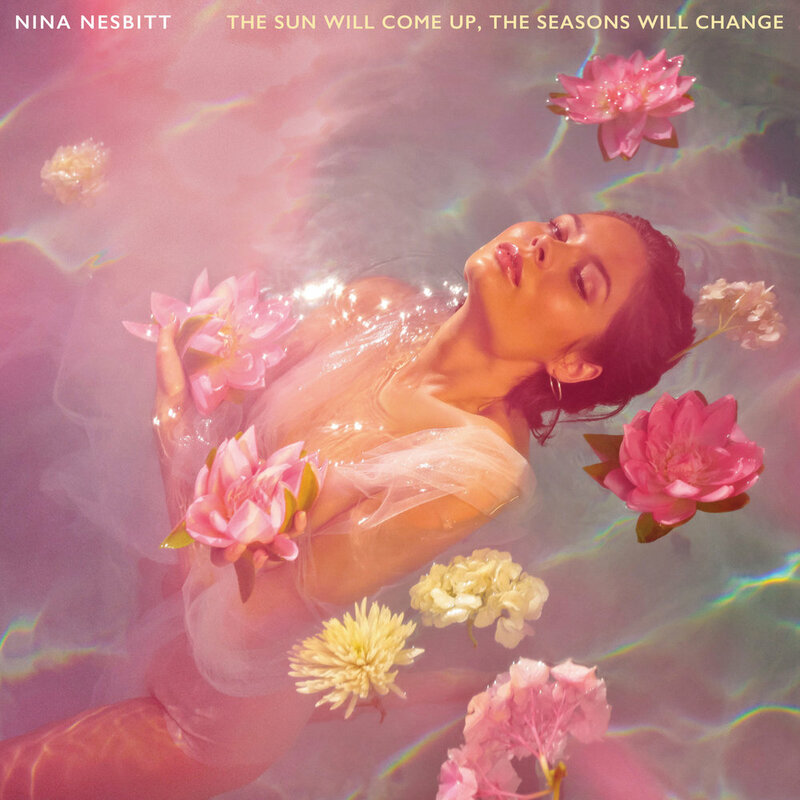 Nina Nesbitt returns to the music scene with her sophomore album ‘The Sun Will Come Up, The Seasons Will Change’ after five years since her debut album. What I recall of Nina Nesbitt, is her early days of ‘The Apple Tree’. I see an image of a young blonde girl whose title track for that EP in 2012 was an acoustic, almost folk sounding song, that was catchy and got airplay by the likes of Radio 1, but didn’t ever really put her on the map as an artist. This new album in 2019 from Nina, shows a young girl who has matured. She now has short brown hair and lies in a summertime-esque pool of flowers on the cover of it. Her sound has matured and she has transformed into a pop star in her own right, with a style to this album that is reminiscent of 2003 Stacie Orrico (for those that remember her) with hints of 90’s Destiny’s Child, which makes it a really catchy and vibrant album to listen to. There is a theme of love to it, of loss and of learning from them both. ‘Loyal To Me’ was the first single released from this album. It’s a girl power anthem that reminds women that if a man isn’t reciprocating your feelings, ‘if he never calls when he says he will, if you see him out with another girl’ then ‘if I have to question “is he loyal to me?” Well then he’s probably not, and you should probably leave’. Words of advice that are relatable and catchy enough that again, Radio 1 are playing it on repeat and listeners are loving it. There is some really fantastically written ballads that are to note on this album too, that slow the bubble gum pop down for a minute to give you something ‘Sacred’. This song is beautiful and Nina’s vocals really push its message. It’s a quiet and honest song that is refreshing to hear. ‘Last December’ is another slower track that shows off her vocals and her song writing skills that are relatable and journal like of some of the greatest song writers in the world. It actually reminds me of early Taylor Swift, and if Nina Nesbitt is to follow in her footsteps then I’m sure she’s on the right path.